Wow! It's so hard to believe that little Addison is going to be turning 1 in a few short days. It has been amazing watching her grown this past year. She is such an expressive little girl. My final session of 2011 was with her and her family. It was awesome to have multiple generations in these photos. Thank you Kirsten and Bannon for inviting me into your lives this past year to witness and capture some of Addison's amazing life so far! I hope you like this little sneak peak. I figured I'd better post the photo of the week from last week now, before I forget. I can just see myself forgetting to do it on the weekend with all of the Christmas activities we have planned. I think this might be the last year Ben wants to go Fishing with Santa at Vaughan Mills. He almost decided not to go this time because he said there were only little kids there last year when we went. But he did want to go, so off we went. And he wasn't the biggest kid in the line when we were there, so I think that made him happy as well. Thanks for looking and I wish you and your families a very merry and happy Christmas. Here is the amazing group of bakers for this year's exchange. The finalists in the yummiest treat competition (minus one late addition). The winner of the yummiest treat. It was this chocolate/peanut butter/crispy ball of goodness! Look at all of the fabulous looking packaging! And the most festively dressed. PHOTO OF THE WEEK #24 - Christmas Fun at Splashy's! This was the first year we were able to make it to the Splashy's Swim 'n Fitness Christmas Party (this is where Ben takes his swimming lessons). It was a great time with fun for the kids and yummy food. Ben had a fun time. I was so busy working on their photo book project earlier this month that I forgot to blog about their last session of the year! There were some great vendors there as well. Joyce Walker won the draw I had for a complementary photo session. Congratulations Joyce!! The Christmas tree we had beside Santa was beautiful and so much fun. It was provided by 'Flower by Lady Di'. Here are a few photos. Unfortunately, I didn't think to get a solo photo of the entire tree. 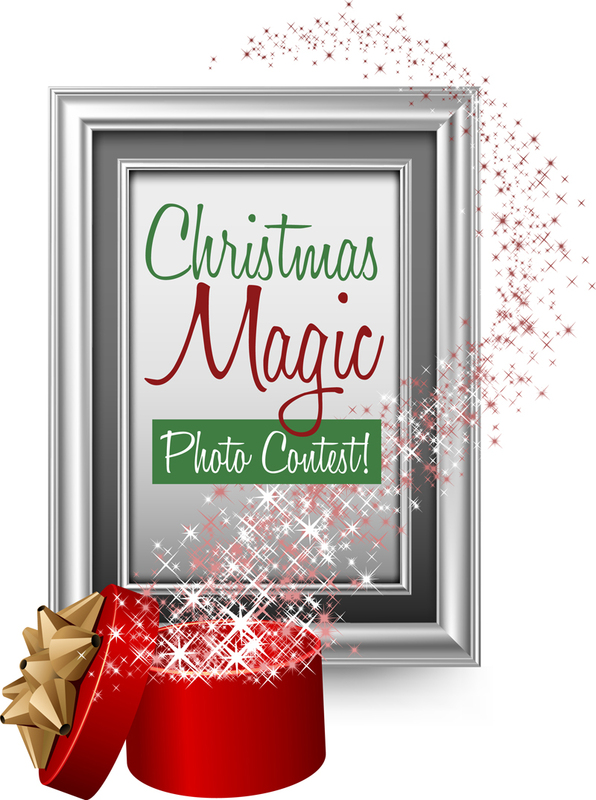 CONTESTS: Show Us Your Christmas Magic! 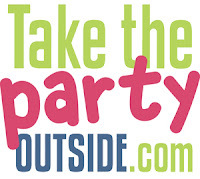 TakethePartyOutside.com, Momstown Barrie and Picture Your Life Photography have come together to find the most Magical Christmas moment of 2011! Send us the most magical moment that you have captured on film, well digitally, lol. We will select the top three images that we found to be most magical and then you will vote for your favourite one. 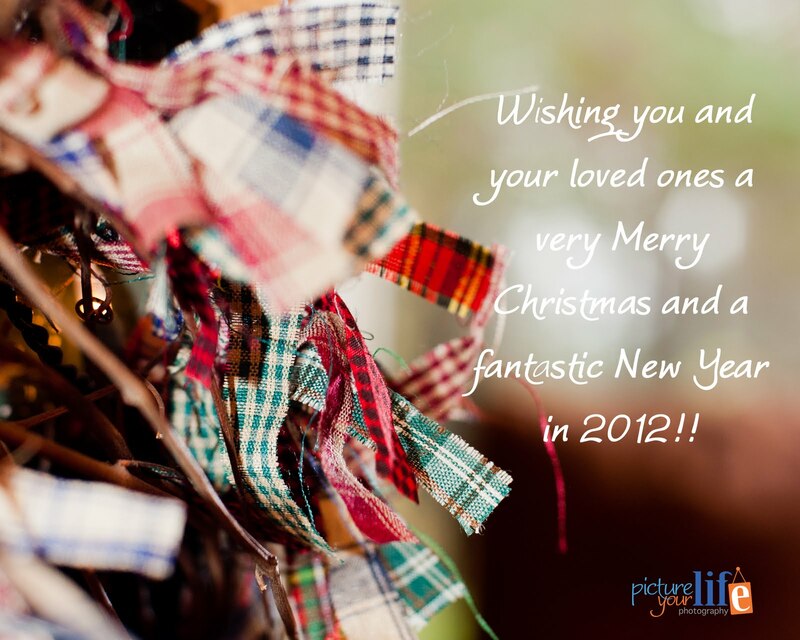 Show us a big surprise, happy faces, a big family hug, anything that made the holidays magic! Enter for your chance to WIN a Children's Customized Photo Storybook Session from Picture Your Life Photography. (Current value - $155) Prize includes up to 2 hours of session time at Picture Your Life Photography Studio or on location within 30 minutes from Tottenham, ON. Includes one customized 7x7 inch soft cover photo storybook featuring your child. Gift certificate will be valid for 12 months from date of issue. Step 1: Like our facebook pages! Direct links below. Our top 5 finalists will be notified by email before January 9th. Voting will begin on January 9th!! The winner will be announced on January 30th at 6:00pm. Please head on over to Facebook and "like" our pages! We have made it easy, click on logos below to get there! PHOTO OF THE WEEK #23 - Here comes the parade!! I will be doing a blog post with more photos from the parade, but that probably won't be until holiday time in a couple of weeks. PHOTO OF THE WEEK #22 - Who's that kissing Santa Claus?! What a fabulous time I had at the Christmas Extravaganza show in Alliston at the New Tecumseth Recreation Centre on Saturday, November 26th!! I got to hang out with the one and only Santa!! And who's that kissing him?? Stay tuned for more photos from that day.